Grace is the weird geeky girl that everyone picked on. She dresses differently and listens to the 'wrong' kind of music. What happens when she finds out a family secret and her whole life story gets flipped upside down by her favourite band? Also, all writing is in Grace's point of view unless stated otherwise, pay attention to the notice at the top! Hayley James was your average cool girl, not that she wanted to be of course. her snarky attitude and "too-cool-for-school" façade just drew people to her. not that she wanted the attention. of course this bad attitude attracts alex gaskarth, school rockstar, and her best friends biggest crush. she cant stand him, everything about him annoys her, but his charming smile and great music taste keeps her interested. when her language teacher pares her with him, she starts to learn a few things about alex. will these things bring them together? she really hopes not, she has enough problems on her plate as it is, but is it really her fault that everytime she looks at him she feels like she's on top of the world? and everytime he looks at her she feels like she's wearing a halo. "Star light, star bright, first star I see tonight, I wish I may, I wish I might, have this wish I wish tonight." She whispered, breath clouding in the cool night air. Alex laughed beside her. "That never works." "How would you know? Are you some sort of wish expert?" She asked, nudging him. He put his hands behind his head on the grass, elbows out. "Mine never came true." "You have to believe." She insisted. "That's why yours never came true." "Fine. Tell me what yours was and we'll see if it comes true." He said. She looked over at him from her spot on the grassy hill. "Then it really won't come true. C'mon Alex, try it! Look at that star right there and make a wish!" This is a fic based on the album Future Hearts by All Time Low. Each chapter is named after a song and references that song. Please check it out, I'm not good at descriptions but I feel like it's pretty good! Also, it is all completely finished and published, except for a few edits I might go back and make.
" Ten Reasons. All of them different but all reasons why you need to stay"
When Kapri-Sun was sixteen, she lost her family, and moved in with her best friend Alex's family. Even eight years later, they're inseparable. But ever since Alex got back from tour and Kap got a new boyfriend, things have been tense between the two. Could this possibly be the beginning of the end? Sarah Dawson is a 19-year-old girl about to embark on a once in a lifetime adventure--touring with All Time Low! Her brother Rian is the drummer for the band and Sarah had stood by the band through thick and thin. 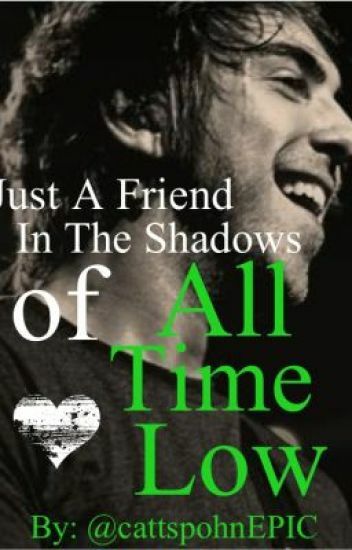 Especially Alex Gaskarth, her best friend. When Sarah develops feelings for Alex how will she tell him? How can she tell him when Alex's annoying girlfriend Liz is always around? Will she end up hurt? And what's this secret that she's hiding? Find out more when you read, "Therapy."